Sophomore Associate Editor Emily Ullmann is tracking the experience of reporting in a country without a free press as we make our way through Turkey. Halfway through the trip, she reflects on what this meant in Istanbul. Keep a lookout for her further reflections on making her way through Cyprus. As we sat on a rooftop terrace overlooking the strait of Bosphorus in Istanbul, Mahmut Çinar, professor of journalism at Bahçesehir University in Istanbul, explained to a small group of us the challenges journalists face in Turkey. Çinar described that as one of the most hated professions in Turkey today, journalists struggle to report because they face little popular support and lack any basic respect. This perspective came as a surprise to me, despite following the evolving story of detained journalists and press freedom in Turkey. Although considered freer than most other nations in the Middle East, Turkey ranks as one of the worst nations of the world in terms of freedom of the press. All of the information I had read led me to believe that, much to the dismay the Turkish people, the government continues to censor its papers and tighten its grip on reporters. Yet, when we spoke with Çinar, the picture became far more nuanced. 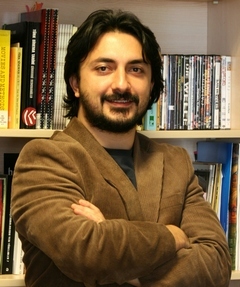 Çinar’s students at Bahçesehir had experienced governmental constraints on their journalistic voices, with some even being detained and interrogated for several hours after attempting to report; however, Çinar also mentioned that he did not believe that the government really censored, he simply considered Turkey less free than the U.S.
During our conversation, it occurred to me that perhaps my views of press freedom were so shaped by the U.S. that I could not totally grasp the implications of Çinar’s students’ experiences. From Çinar’s point of view, the lack of a tradition of free media in Turkey means that many journalists here self-censor and do not report on so-called “taboos,” like Mustafa Kemal Atatürk, the first president of Turkey, or the Armenian genocide. In contrast to the investigative journalism in the United States that often uncovers problems in the government and society, Turkish tradition holds that journalists report on some topics while totally avoiding some of the most hard-hitting questions. As a journalist for the Globalist, I arrived in Istanbul with the intention of finding issues and controversies in Turkey, so this concept of self-censorship of taboos seems so foreign. In fact, in a nation where journalists avoid the toughest questions, those posed by my fellow Globalist reporters, whether about the Kurdish language or Muslim neighborhood pressures, seem even more crucial to answer. This entry was posted in Uncategorized and tagged Istanbul, journalism. Bookmark the permalink.